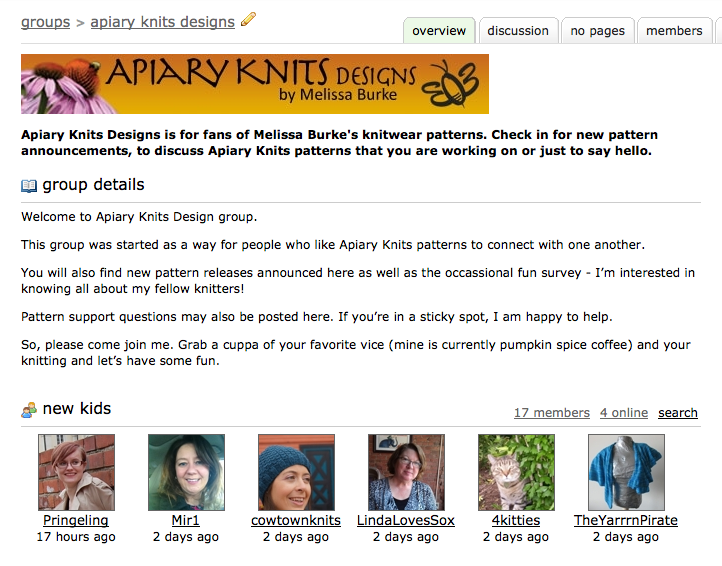 Enjoy one another’s company and camaraderie as we knit together with on as well as off topic friendly chatter. If you enjoy my patterns, please consider joining. Hope to see you there and happy knitting to all!